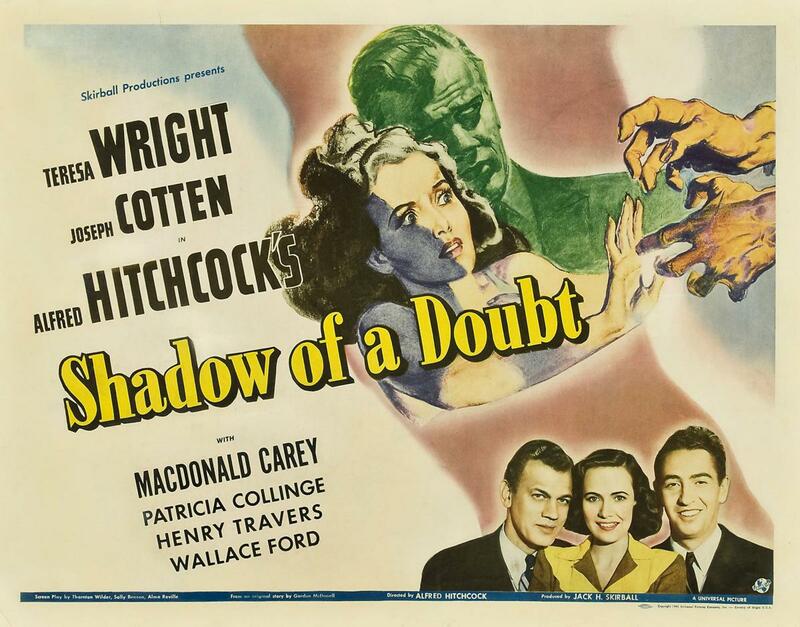 The Hitchcocktober movie of the week is... "Shadow of a Doubt" tonight at 8... at City Cinemas Village East on Second Avenue at 12th Street. From 1943, Joseph Cotton stars as Uncle Charlie, a calculating and charming killer who hides out in his relatives' small hometown. There, he befriends his favorite niece and namesake, Young Charlie (Teresa Wright). But she begins to suspect he may be the famed Merry Widow murderer! Is good ol' creepy Uncle Charlie really the famed Merry Widow murderer??!?!?!??!?! Is Young Charlie really old enough to be in a bar?!?!?!!?!?!?!? The screenplay for "Shadow of a Doubt" was written by the playwright and novelist Thornton Wilder. Hitchcock approached the author of "Our Town" because this was his first movie set in the United States and he wanted an accurate portrayal of small town America.